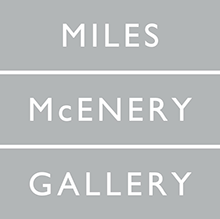 NEW YORK, NEW YORK – AMERINGER | McENERY | YOHE is pleased to announce an exhibition of works by Robert Cottingham. The exhibition will open 7 September and remain on view through 7 October 2017. A public reception will be held on 7 September from 6:00 to 8:00 PM. Born in Brooklyn, NY in 1935, Robert Cottingham is best known for his paintings and prints of the urban American landscape, which often feature cropped views of neon signs, marquees, building façades, and shop fronts. Though he is considered one of the most prominent Photorealists of the latter half of the twentieth century, he also sees himself as a realist painter continuing in the tradition of American vernacular scenes. After serving as a mapmaker for the U.S. Army from 1955 to 1958, Cottingham earned a BFA from Pratt Institute in 1963 and began his professional artistic career as an art director for the advertising firm Young and Rubicam. Cottingham was soon transferred to Los Angeles, where he was inspired by the kitsch and exaggerated glitz of his new environment. In 1968, he ended his advertising career in order to commit fully to painting, and made his New York debut at O.K. Harris Gallery in 1970. Cottingham then left Los Angeles for London—he and his wife, Jane, bought a house in Fulham, where they lived with their daughters until 1976. Viewing himself as “an artist painting American scenes,” he rejected the foreign imagery of the city and made yearly photography trips to the U.S. A grant from the National Endowment for the Arts in 1974-75 allowed him to tour the country via Greyhound bus and take thousands of photos of American cities. Cottingham continues to paint from the images that he captured on these long ago road trips. Though photographs serve as an initial reference point, Cottingham is not beholden to the original image, and often changes the words to alter the meaning of the subject. He works simultaneously on different series and in various media, generating an array of paintings, drawings, and prints from a single image. This exhibition features both recent and earlier works on paper by the artist that depict close views of commercial signage. These fragmented glimpses of the urban landscape have a surreal and enigmatic quality, and highlight Cottingham’s mastery of line, light, and shadow. Cottingham’s work has been included in significant group exhibitions at Documenta, Kassel, West Germany (1972); Serpentine Gallery, London, England (1973); Centre national d’art contemporain, Paris, France (1974); Whitney Museum of American Art, New York, NY (1978); a traveling exhibition at the National Museum of American Art, Washington, D.C. (1986); Samsung Museum of Modern Art, Seoul, Korea (2001); and Deutsche Guggenheim, Berlin, Germany (2009). The artist’s printed oeuvre was the subject of a solo exhibition at the National Museum of American Art, Washington, D.C. in 1998-99, and a major retrospective of his work was held at the Butler Institute of Art, Youngstown, OH in 2016. Cottingham’s work is currently featured in From Lens to Eye to Hand: Photorealism 1969 to Today at the Parrish Art Museum, Water Mill, NY. His work is in many permanent collections including the Art Institute of Chicago, Chicago, IL; Solomon R. Guggenheim Museum, New York, NY; Hirshhorn Museum and Sculpture Garden, Washington, D.C.; Metropolitan Museum of Art, New York, NY; Museum of Modern Art, New York, NY; Philadelphia Museum of Art, Philadelphia, PA; Smithsonian American Art Museum, Washington, D.C.; Tate Gallery, London, England; and Whitney Museum of American Art, New York, NY; among others. Cottingham lives and works in Newtown, CT.